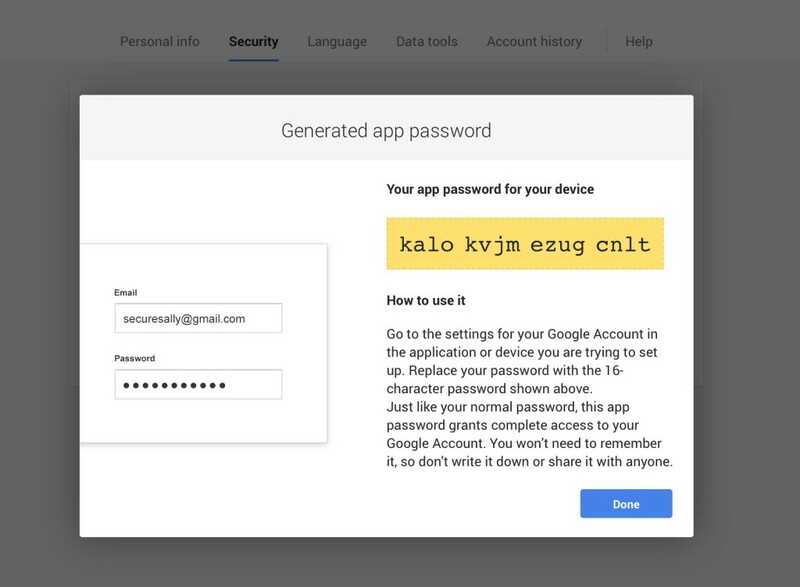 If you have turned on 2-Step Verification for the Google account that you use to access Google Webmaster Tools (GWT), then you will need to create an App password for Megalytic in order to connect with GWT. 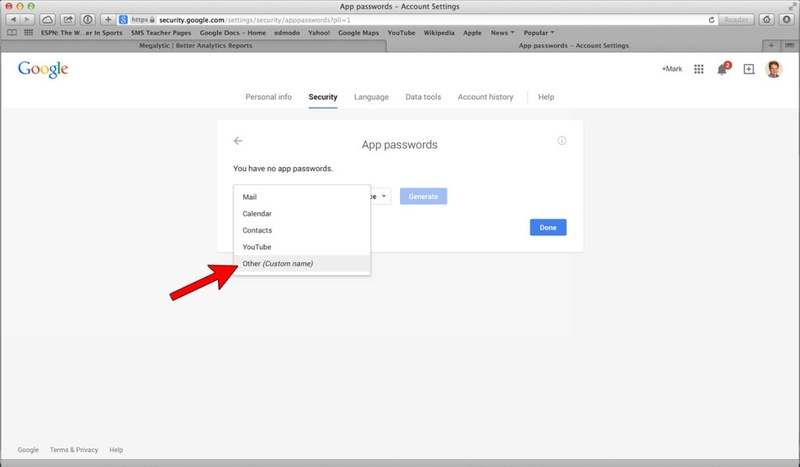 Go to Google’s Security Page for App Passwords. Under “Select App”, click Other (Custom name). Enter “Megalytic” and click on the “Generate” button. 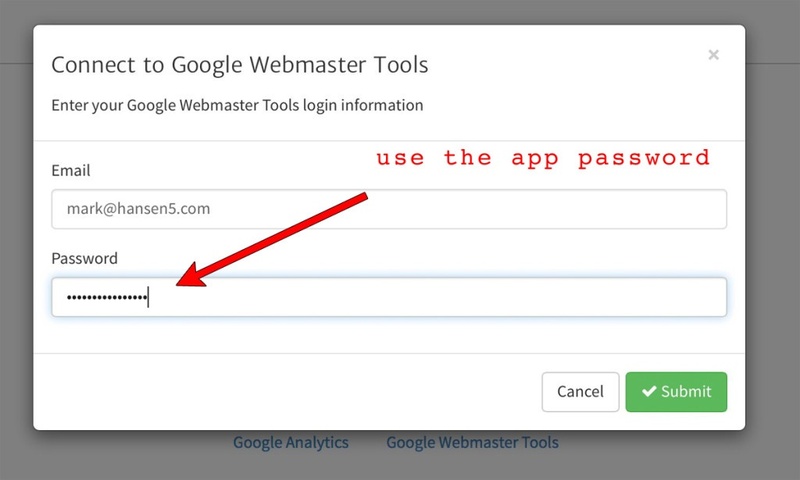 Copy the app password that Google has generated, go to your Megalytic account, and use that password – together with your Google Account email – to connect with Google Webmaster Tools. Lastly, SAVE THIS APP PASSWORD. If you need to add additional GWT sites from the same Google Account, you will need to re-connect from Megalytic again, using this same password.